wow, it's almost the weekend already. Another week just flew by. My plan was to post this on Tuesday but I guess that didn't work out as planned. 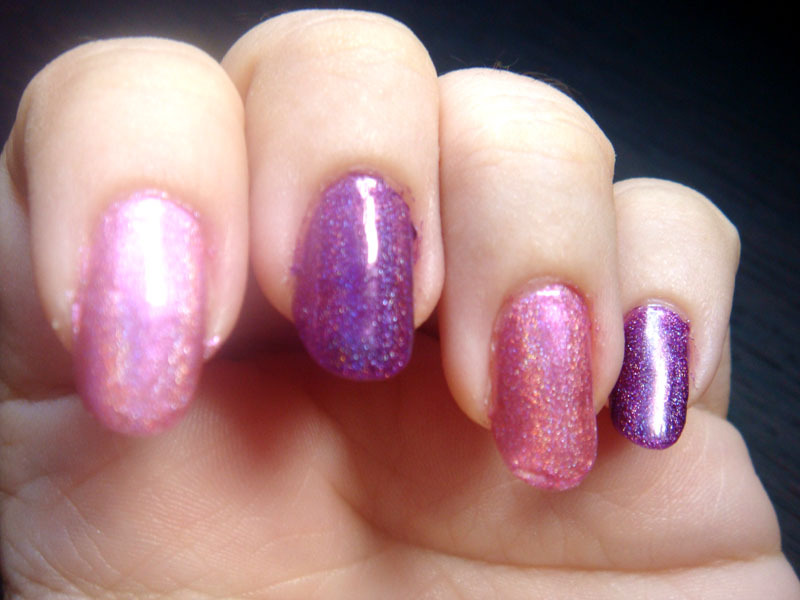 Both colours are two coats with a layer of Seche on top. 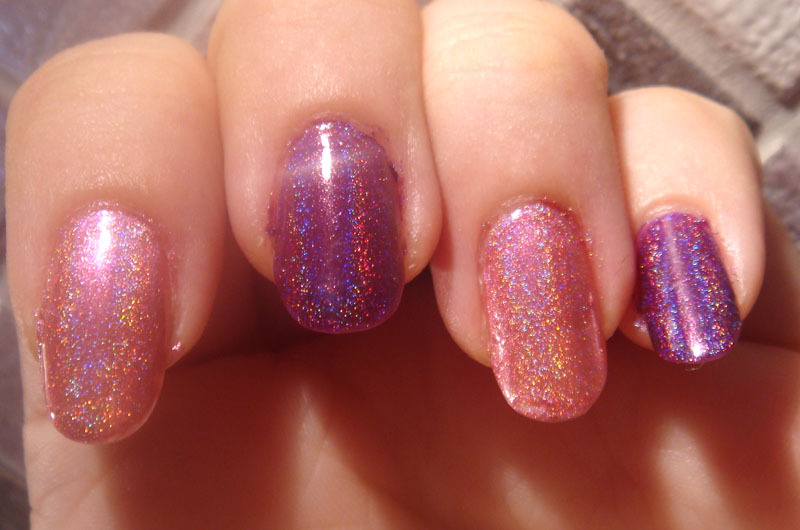 See how shiny and colourful my nails are? 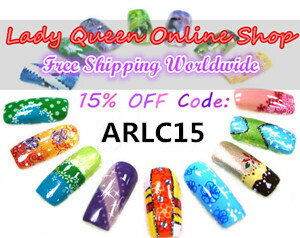 And here are the individual colours with the polishes for reference. I am absolutely loving both of these colours. I think I am going through a major holo phase and I just can't stop staring at my nails. 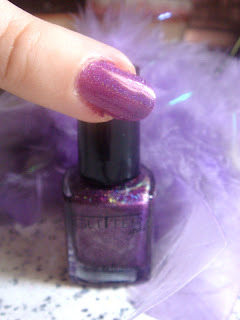 I am still wearing this mani and almost a week later it still looks fantastic (and getting a lot of compliments). Very cute! I love both of these colors. I think the Sally Hansen might be called Blush Diamond..? It's hard to see but I can just make it out on my bottle at the very top of the back label (in capitals). I hope your thumb is feeling better! 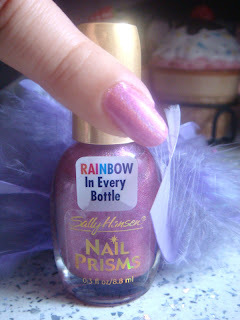 All eyes on Sally's Nail Prisms. Totally want, it looks gorgeous! I like both but I like the sallys a bit more! I love it! They're all gorgeous colors. @ChaosButterfly oh yes! I couldn't stop looking at them. @Mia thank you :) I think the colours worked really well together. 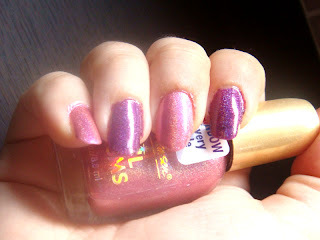 @AnnKiins'♥ they are amazing polishes. I am planning to hunt down some more of them. @Toesthattwinkle! thank you. I had read about this Sally Hansen series before but seeing them in the flesh all I can say is wow!